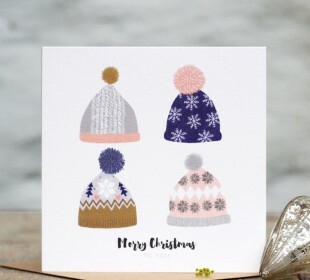 Stay snug this Christmas with a set of 6 ‘Cosy Mitts’ cards from the Cosy Christmas Collection. The collection features a beautiful selection of Nordic inspired patterned knitwear in a fresh colour palette of mustards, greys, navy & pale peach. Comes with a high quality brown rustic recycled kraft envelope and cello bag. Packaged up with twine & traditional brown paper.